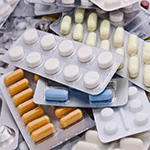 Better education is key to reduce 'frightening' levels of drug wastage. A study of UK doctors carried out by the PCSG (Primary Care Society for Gastroenterology) to coincide with European Antibiotic Awareness Day (18 November 2013) suggests that patients who are given information about the impact of antibiotics on the gut and the option of probiotics before being prescribed antibiotics are far more likely to complete the full course. Probiotics are increasingly recognised as giving a helping hand to the gut microbiota - the colonies of friendly bacteria that we all have inside us, and that can be disrupted by taking antibiotics. Doctors quizzed in the survey say that at least half of patients who are told about the workings of gut microbiota and how probiotics may help are likely to complete a course of antibiotics, compared with just a third of patients who are not given this information by their GPs. The survey also showed that, like their patients, doctors are also becoming more aware of the advantages of probiotics. A third now consider the possible impact of antibiotics on gut microbiota when writing prescriptions. Around over six in every hundred people are prescribed at least one course of antibiotics every year. Yet as many as sixty per cent give up on them half way through, according to many of the doctors quizzed in the survey. Just five out of a hundred doctors surveyed were optimistic that three quarters of their patients would finish their medicine. Perhaps more unnerving still, GPs thought 80 per cent compliance is the best it gets. No GP believed that more than this figure would keep on taking the medicine. On a national scale, that could add up to as many as two million courses of antibiotics never being completed, leading to massive waste and the growing problem of antibiotic resistance. The study was funded by Danone Ltd through an unrestricted educational grant that had no influence on the results. Research was carried out amongst 120 GPs in October 2013. Of these, 24 per cent were in the south east, 9 per cent in Scotland, 10 per cent in the north west, 30 per cent in the north east, 15 per cent in the Midlands, 8 per cent in the south west and 4 per cent in Wales. About the PCSG (Primary Care Society for Gastroenterology) - the voice of gastroenterology in primary care. The society was launched in 1985 and has forged strong links with several organisations both nationally and internationally. Bodies such as the British Society of Gastroenterology, the Royal College of Physicians, NICE, and the RCGP all consult the PCSG regularly on gastroenterological subjects so that policies and guidelines can be influenced by primary care. About European Antibiotics Awareness Day - an annual European public health initiative that takes place on 18 November to raise awareness about the threat to public health of antibiotic resistance and prudent antibiotic use. The latest data confirms that across the European Union the number of patients infected by resistant bacteria is increasing and that antibiotic resistance is a major threat to public health. Prudent use of antibiotics can help stop resistant bacteria from developing and help keep antibiotics effective for the use of future generations. Danone Ltd - is part of the Danone UK family includes Danone Waters UK & Ireland Ltd, producers of Evian, Volvic and Badoit; Danone Ltd, producer of Activia, Shape, Actimel, Oykos and danio; Danone Baby Nutrition; and Nutricia Medical. A world leader in fresh dairy products and bottled water, Group Danone employs over 80,000 people, across five continents, in more than 120 countries.